Here visitors can enjoy the deep forests which are found on the Czech-Bavarian border forming the largest forested area on the continent. 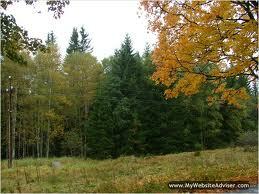 Sumava is the Czech name for the Bohemian Forest. You can find a wonderful mixture of ages old primeval forests, glacial lakes which are crystal clear and mysterious peat bogs. 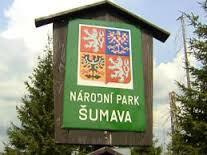 Sumava National Park has been declared a UNESCO Biosphere Reserve. There are rounded hills which over wonderful views of the surrounding landscape and there is a look-out tower atop of Polednik Mountain from which you can see the entire mountain ranges. If the visibility is really good you might be able to see even the distant Alps from the look-out towers located on the Boubin and Javornik. Among the most popular destinations within the national park are the biggest and the deepest bodies of water – Certovo or Devil’s and Cerne or Black Lakes both of which are very lovely. 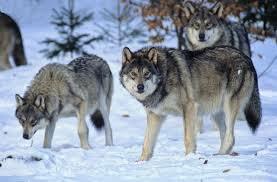 The park is home to populations of lynx, caterpillar, black grouse, Ural owl and European elk. There are many great areas for hiking, biking, horse riding and kayaking. In the winter time visitors come here to take part in winter skiing including downhill and cross-country. In your travels within the park you can delight in lovely villages, look out wonderful castles and the delightful surrounding nature. Cerne Jezero or the Black Lake reflects the dark woods surrounding it. The surface of the water looks black giving it a most mysterious appearance. The lake was formed by glaciers. Another must see when visiting Sumava National Park is the village of Kasperske Hory and the Castle Kasperk. This castle dates back to the 14th century. Inside the castle there is an exhibition about its history and the times of gold digging in the area. The castle can be visited by guided tour or along many marked trails. There are many other delightful things to see and experience in this park. Glad you enjoy these Conrad. Your comment is appreciated.